All living organisms need water to survive. But, we live in a time when water is consistently wasted. From leaving the faucet on while we brush our teeth to watering the garden more than necessary, we overuse what water resources we have and produce high levels of pollution as a result. 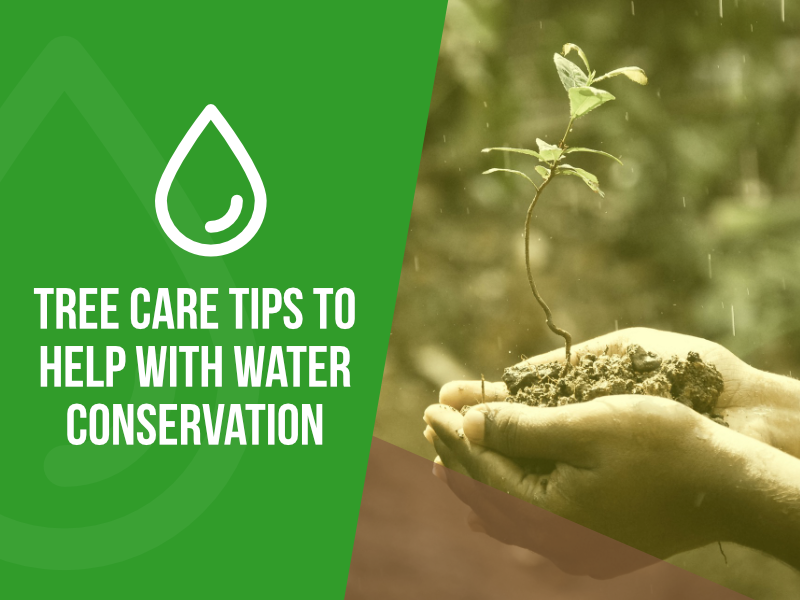 Water conservation efforts are helping us use water more efficiently and avoid waste in order to meet current and future demand, preserve water resources, and prevent pollution. How Can We Conserve Water with Tree Care? Most nutrients and moisture reside near the surface of the soil, so the most absorbent tree roots tend to grow in the uppermost few inches. When the area surrounding the base of the tree is covered in grass, there is interference – or, competition between the grass and tree roots for nutrients and water. This can result in a poorly developed tree. Remove grass around the tree to allow its roots to have better access to the top layer of soil. This will allow the tree to gather more oxygen, nutrients, and water – components it needs to effectively filter out the water to help preserve resources and prevent pollution to the water system. Using rocks around trees is a popular landscaping design, but can actually do more harm than good when it comes to water conservation. Rocks actually increase the heat at the base of the tree and under the soil, affecting the roots. This necessitates more frequent watering of the tree to make sure it is getting the amount of water it needs. Using more water naturally goes against water conservation, so opt for an alternative, such as light mulch, to prevent using more water than necessary. At Nevada Tree Service, we can help with tree root management and tree maintenance to keep trees as healthy as possible. Those interested in ways they can contribute to water conservation through tree care are invited to give us a call to learn more.